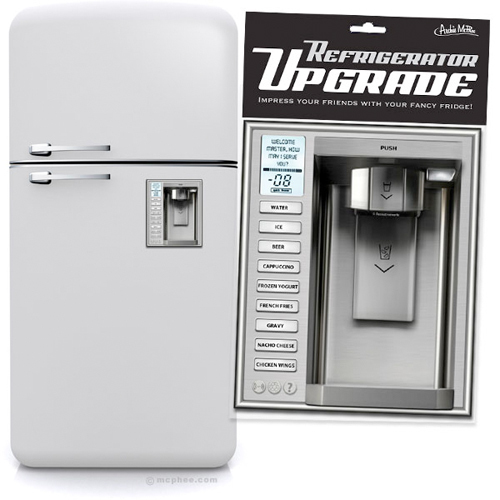 Finally, an end to the need to pass hot gravy around the table. 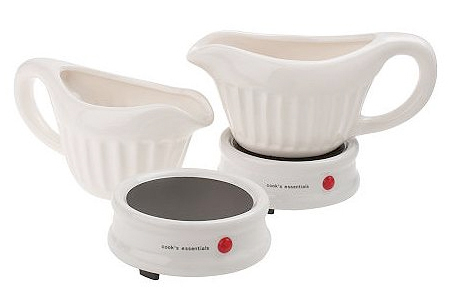 These Cook’s Essentials Electric Gravy Warmers come in a set of two, and stop gravy-related mishaps before they happen. Featuring detachable power cords, the gravy boats keep gravy warm at the table simply and elegantly. 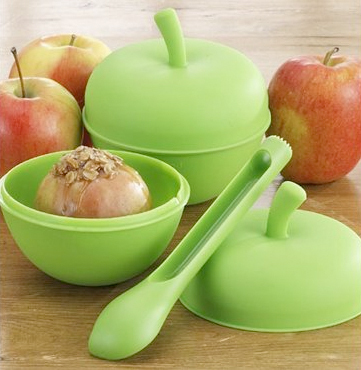 And at less than twenty bucks for the set, getting one for each place setting is within reach. Hopefully there is a cardiologist in the family. Season’s eatings! Yes, Star Wars does coffee. The branding machine that is the Star Wars empire has decided to plaster their name on whole bean coffee. Oddly enough, considering the popularity of coffee and the quality of those dreaded prequels, this move might just ensure the longevity of the franchise. 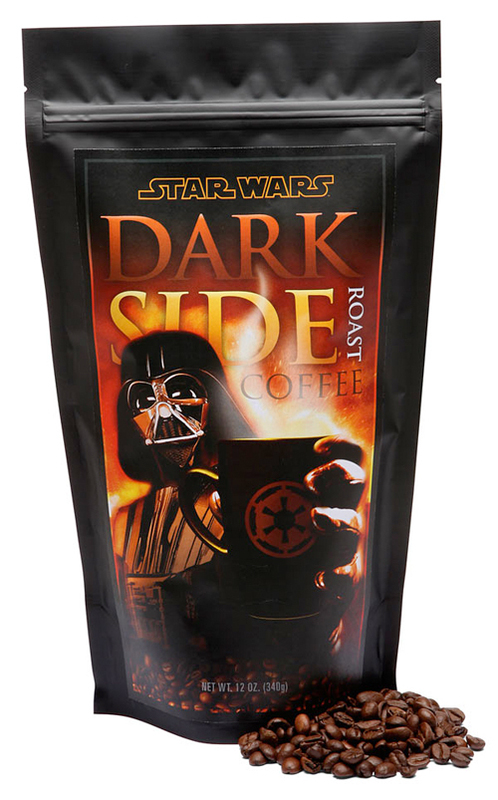 Get your Star Wars Vader’s Dark Roast Coffee over at ThinkGeek and remember to brew to full strength for maximum enjoyment while crushing the rebel alliance. Quick question: which pizza has more pizza? The 18” large at pizzeria A or the 16” large at pizzeria B? Why pizzeria A of course. But if they charge a higher price for their large, it doesn’t necessarily mean it is the best deal. To figure out the area of any pizza circle, pi is necessary. Remember pi x r-squared? Yup, that’s area. As in usable, eatable pizza pie. 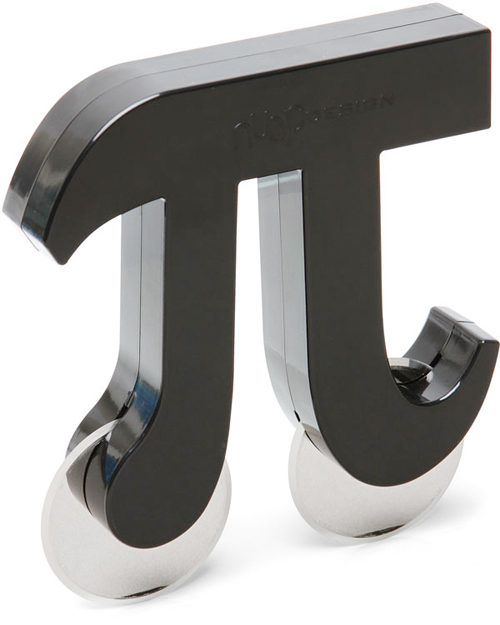 So it seems only appropriate that the Pizza Pi Cutter exists. Of course, this doesn’t take into account any coupons for chicken wings to go with, but it would work for mostly circular chicken nuggets. But if your pizzeria is hawking nuggets, you probably want the other pizzeria anyways. Crackers often get overlooked. Special attention is always paid to the cheese or the spread, but when it comes to the delivery vehicle–the cracker–more often than not they get tossed onto a plate as an afterthought. Even saltines deserve better. 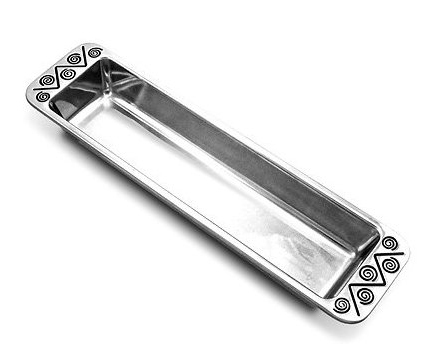 The Wilton Armetale Reggae Cracker Tray elevates the lowly cracker on up to the level of its serving partner. The 13-inch long platter holds at least a package of crackers and also happens to be safe for oven use–but serving hot crackers probably won’t fool anybody into thinking you made them yourself.